Over a million people in Sudan will be offered immunisations in the next month to battle what experts believe is the worst outbreak of yellow fever the world has seen for 20 years. Since the immunisation programme began on November 21 about 2.2 million people have been vaccinated against the disease, which can cause jaundice and kidney failure. 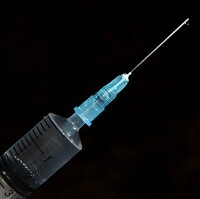 More than 800 suspected cases of the disease have been reported since October, prompting a mass vaccination campaign. With another 2.2 million doses of the vaccine expected to arrive soon, the World Health Organization's Anshu Banerjee said he was confident the immunisation programme would slow the spread down. Neighbouring countries like Cameroon have also reported cases of the disease but many of these nations include yellow fever vaccine in childhood immunisation programmes. "There's been no such vaccine campaign in Sudan for decades," said Dr Banerjee. "It's because of priorities. Sudan recently identified itself as a high-risk country for a yellow fever outbreak and had conditional approval to begin a vaccination campaign. Unfortunately the outbreak hit before this could happen.This is the worst outbreak we have seen globally in 20 years or more." Visitors to all parts of Africa are recommended to take out appropriate travel insurance to protect them.